Cocaine is a highly addictive, illegal substance. It is the most trafficked drug in the world. 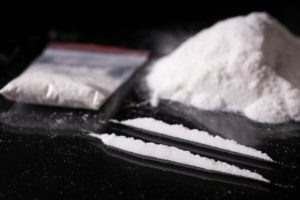 In the United States alone, hospital emergency rooms report cocaine use as the most frequently cited drug involved in medical emergencies and overdoses. The risk of depression after recovery from cocaine addiction can be potentially deadly. Those in recovery need to be supported and monitored for increased risk of self-harm and suicide. Adding to that, the isolation of drug addiction leads many to believe that help is either out of reach or worse; non-existent. But much research has been done on the science and behavioral health surrounding addiction and drug abuse. Rehabilitation centers are backed with proven, scientific research on effective methodologies surrounding recovery. Staffed with caring and dedicated professionals, thousands of people in the United States recover from drug addiction every year. This article will explore how to find rehabilitation centers for cocaine abuse. What is the intake process like at a residential facility? Upon admittance to a residential facility, the first step to undergo is an initial screening or evaluation. The severity of the addiction is assessed so a therapeutic alliance between staff, the patient, and the patient’s family can be formed. The level of care and the treatment schedule is discussed at length. For example, when and where group therapy takes place when to expect meals, what visiting hours are, etc. Treatment barriers are identified, discussed, and mitigated. An example of a treatment barrier would be if the patient is in need of childcare or does not have reliable transportation. The need for emergency care is assessed, and if the patient has any comorbid addictions to cocaine. If alcohol or prescription drugs are also being abused, a more intensive and complicated treatment plan is needed and must be devised. Also, the patient is assessed for any suicidal risks. The patient’s medical history and personal information are gathered in order to create the best recovery plan for their specific needs and history. At this point, comprehensive, highly-individualized treatment plans are formed, and the alliance between the patient, rehabilitation center staff and family is cemented. How long are treatment programs for cocaine addiction? Ongoing treatment for cocaine addiction is recommended for an outcome of lifelong recovery. The length of treatment is specific to the needs of the individual. Typically, a six-month stay in a comfortable and supportive in-patient treatment center is needed, and then an additional six months of outpatient treatment. Since drug addiction and abuse is so insidious, life-long maintenance in the form of therapy and support group attendance is needed. What range of therapies do inpatient facilities offer? Inpatient treatment centers offer a range of effective therapies. A combination of individual, group and family therapy are all recommended as a powerful arsenal in the fight against drug abuse and addiction. Medical and pharmacological treatment is often needed during the detoxification and withdrawal process. At a rehabilitation facility, patients are given legal, prescribed medication to help manage unpleasant and sometimes dangerous withdrawal symptoms. Do most treatment centers offer an alumnus or aftercare program? Alumni or aftercare programs are proven to be effective in the ongoing maintenance plan following the initial recovery from drug addiction. Rehabilitation centers are not only used to keep the patient safe during the potentially dangerous withdrawal phase, they are also used to heal the individual on an emotional, therapeutic level. Individuals must also be re-socialized after the ravages of drug abuse and addiction. Attempting a recovery alone, without the support of medically trained staff and fellow survivors of drug abuse, is an ineffective way to maintain a drug-free life. Aftercare programs help drug abuse survivors stay in recovery. Alumni are encouraged to attend weekly meetings at a rehabilitation treatment center for the purposes of fellowship, community, and support. Windward Way offers survivors of drug abuse a brotherhood with their aftercare and alumni programs. Support and individual attention are generously given to those embarking on a life-long recovery from drug abuse and addiction. Community, fellowship, and support from medically-trained staff are needed during and after the recovery from cocaine addiction. Contact Windward Way today and receive a personalized, high-quality treatment plan for cocaine addiction. Parents, friends, loved ones and employers want to know the answers to three main questions when they come to us: will the young man addicted to cocaine entering our program be well-treated, safe—and most importantly—will the substance abuse rehab for cocaine addiction be effective? Without a doubt, these questions can be answered with a definite yes—we pride ourselves in offering both compassionate & individualized structured care. Men often report that Windward Way feels just like their own, personalized “home-away-from-home.” What’s more, our staff continually receives ongoing training of how to provide the highest quality treatment for cocaine possible. Call us now to see how we can help you or someone you care about: 855-491-7694. 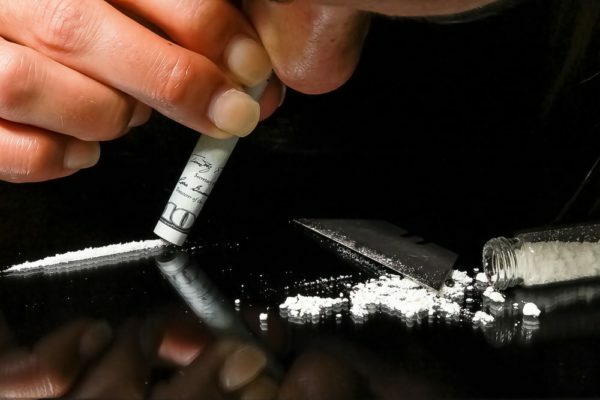 Cocaine addiction is a particularly stubborn medical condition to treat because the drug is exceedingly addictive. To make matters worse, withdrawal from cocaine abuse can be difficult because of the depression that usually follows after quitting the drug. However, our medically assisted cocaine detox treats each person we see with both the medically proficient knowledge we employ and also with a gentle touch to ease the transition off this illegal and habit-forming drug. Despite its difficulties in treatment, the rehab center at Windward Way has had widespread success with our addiction treatment program to stop a dependency on cocaine in its tracks. You’ll be surprised how straightforward our admissions process is. You or someone you care for won’t have to keep leaving a wake of destruction. Finally, the bank account can go on the plus side instead of constantly dipping in the red. We’re here right now as a new beginning—let us show you how: 855-491-7694.